Profits up at Google after 'a very good quarter'. 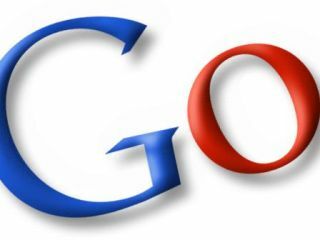 Google announced an increase in profits today, claiming to have earned £900m in the second quarter of 2009. Total revenues were over £3.3 billion - a three per cent increase over the first quarter of 2008. However, paid clicks decreased by approximately two per cent over the same time period. Revenue from Google's core site also decreased by a slim one per cent. "Google had a very good quarter, especially given the continued macro-economic downturn. While most of the world's largest economies shrank, Google's year-over-year revenues were up," said Eric Schmidt, Google CEO. When asked about the profitability of Google acquisition YouTube, a spokesman refused to give any figures, saying, "We're really pleased by trajectory of YouTube and not too long in the future we see a profitable future for it." Schmidt was also bullish about the prospects for Google's cloud operating system, Chrome: "Our focus is building a truly new experience. We do not require each project to be individually profitable. Although Chrome is open source, there will be many opportunities to build profitable services on top of that platform." Revenues from outside of the United States represented over half of Google's total revenues in the second quarter of 2009, with the UK accounting for 13 per cent for all income - down from 14 per cent in 2008.